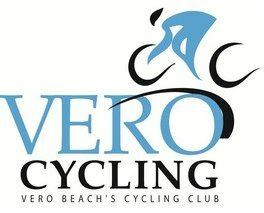 No.1 for Bikes & Kayaks in Vero Beach! discount on all repair parts, accessories and labor. Pro Sports and Elite Rehab has been committed to providing compassionate and comprehensive care to our family of patients for over 25 years. We are a community driven practice that provides high quality, board certified, expert care. We support our community by providing care to the athletes of Vero Beach High School, St. Edwards School, all the teams that compete and train at Historic Dodgertown, and many other community organizations including the American Red Cross. We strive to serve our patients - of all ages - with the utmost integrity, compassion, and accountability. Let Pro Sports and Elite Rehab get you moving again and return you to your full wellness potential. Established in 1991, Kitchens by Design is recognized as the design expert in the Vero Beach area. They are known for exceptional cabinetry and countertops, custom installation, and inspiring concepts that reflect their client’s personal style and set their kitchens apart. Their experienced designers have a flair for thinking outside the box and will make your new cabinetry both functional and ascetically pleasing. Chris provides a full line of comprehensive services to closely held businesses and individuals on the Treasure Coast of Florida, including IRS representation. She prides herself in providing her clients with reliable reporting, sound advice and a high level of customer service. Natalie’s Orchid Island Juice Company produces transparent, authentic juice and has won 8 national taste tests for incredible freshness and wholesome nutrition. The company produces more than 3.6 million gallons of juice per year and employs some 75 people. Natalie’s Orchid Island Juice Company is more than just an awarding winning juice producer. Natalie’s values its community, honors its nation and respects its global environment. Natalie’s proudly supports American jobs and Florida farmers. Natalie’s strives to provide a product that will help sustain the health of this nation as well as promote environmental awareness. Charles H. Sanford is a trusted estate planning and real estate attorney licensed to serve clients in Florida and South Carolina. He is also a contributing member of the community, working with philanthropy groups such as Rotary to improve Vero Beach. FloridaBicycleLaw.com is provided by: J. Steele Olmstead, P.A., your two-wheeled lawyer with 28 years experience in Personal Injury Law, specializing in Bicycle Law. I am a personal injury lawyer and I answer your questions, direct you to resources, share with you stories of bicyclists and the laws governing bicycles. I understand bicycling. My cousin Tom Godwin started The Great Bicycle Shop at FSU in Tallahassee, Florida in 1971. In 1976 my brother bought the shop and is still running it today. My first job was as a bicycle mechanic for my cousin. Since becoming a lawyer, I continue to do what I did in the bicycle shop: help bicyclists get back on their wheels. I drove my bicycle to class in college and used it recreationally. I drove a bicycle to law school and I drive my bicycle every week now. If you have any questions about your cycling and the law, please look under the “Florida Bicycle Law” menu tab on our site. If you would like to speak with me about cycling or an incident, please feel free to contact me. Pareidolia Brewing Co. opened the first craft brewery in Sebastian back in 2014. Since then, they have doubled in size, expanded their distribution throughout the Treasure and Space Coasts and racked up both Gold and Silver medals for their brews at the Best Florida Beer Competition. With a bigger kitchen, river-view deck, great wine selection and a family friendly pub, we're sure to have a little something for everyone who visits! appraisals for insurance purposes as well as purchasing of estate jewelry and scrap gold. Contact John at jsansburn@sbcglobal.net or (203) 470-6623.